Sometimes, you just have to plop down in front of your gaming station with the sole intention of wrecking a few bad guys. Maybe it's because of a rough day at work, or maybe it's due to the realization that your family reunion is in just a couple days, and you don't think you can fake-enjoy your aunt's potato salad anymore. Either way, Zheros is here for your destructive needs. It's been out for about a month over on the Xbox One, but those without Microsoft's console have had to merely sit around and twiddle their thumbs while they wait for the opportunity to take on Dr. Vendetta's robot army. At long last, PC users can join the two player local co-op fray, as the game is now available over on Steam for $14.99. The guys and gals over at Rimlight Studios have been gathering data since the game's initial release, so expect a touch of extra polish to accompany the game's lower price point on PC. Alongside that, they've also slightly expanded the soundtrack to ensure that no faces are being punched to a repetitive tune. 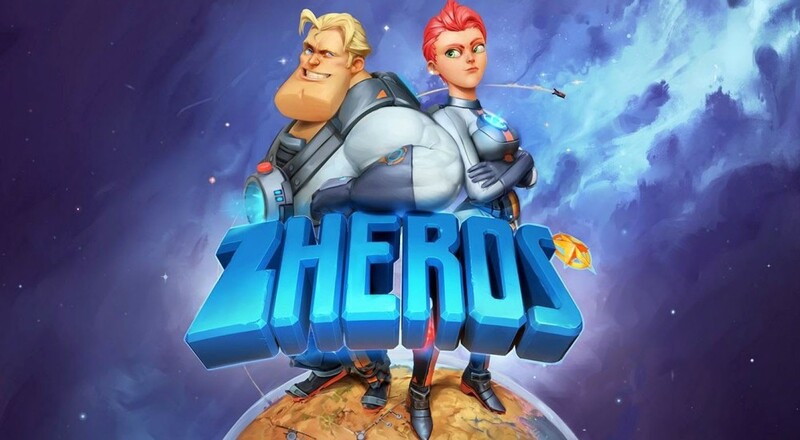 If you're reading this before February 22nd, then Lady Luck has smiled upon you, as Zheros is currently undergoing a twenty percent discount. There's literally never been a better time to team up with a similarly frustrated pal and just straight-up wail on those robotic jerks. Let's be honest here, the robots have been pretty full of themselves lately, what with BB-8 and the Curiosity Rover and whatnot. I think it's about time we took them to task. Like... a punching task. Page created in 0.7406 seconds.